The greatness of a university grows out of the talent, diversity and dedication of its faculty and student body. A wise administration will nurture that growth by providing leadership that will forge a sense of community, create the free and stimulating environment suited to intellectual growth, and make the difficult choices that will focus our efforts and prudently allocate our resources. University leadership functions best when it is derived from the consent of the governed and is able to strike the delicate balance between the twin needs for broad consultation and decisive, timely decision making. By long tradition the faculty believe that their views should profoundly influence the course Cornell will follow, but the size and diversity of today’s faculty make it difficult to ascertain those views. The appropriate role of faculty governance is to facilitate communication between the faculty and the administration, ensuring a full consideration of faculty views, thereby building a faculty-administration partnership that will serve as a firm foundation for effective leadership. For this partnership to succeed, the Senate, its committees, and members of the administration must all contribute to the common goals. Members of the Senate must establish an ongoing dialogue with faculty in their departments. The University Faculty Committee must maintain communication with the Senate while fostering a working relationship with the administration. The administration must listen to the aspirations and concerns of the faculty, share theirs with the University Faculty Committee, and bring the Senate into the wider consultative process by sharing the responsibility of naming faculty to key committee assignments. If all faithfully carry out these responsibilities, the faculty-administration partnership will create a broadly based consensus of choices and goals that will enable Cornell to fulfill its widest potential. A. “University” shall mean Cornell University. B. “President” shall mean the President of Cornell University. 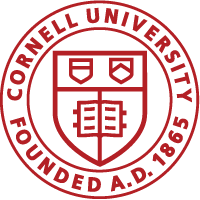 C. The “University Faculty” (sometimes referred to herein as the “UF”) shall mean the body defined as such in the Bylaws of Cornell University, as now in effect or as amended from time to time hereafter. At present, the University Faculty comprises: (1) as members with university voting rights (hereafter referred to as the UF*), the President, the emeritus/a, University professors, professors-at-large in residence, and all professors, associate professors and assistant professors and all courtesy professorial ranks of the several colleges, schools and separate academic departments, divisions and centers at Ithaca and Geneva; (2) as nonvoting members, the professors, associate professors and assistant professors in (a) the Medical College and (b) those bearing the adjunct, visiting or acting title; and (3) such other persons as may have been, or may hereafter be, elected by the Board of Trustees, upon the recommendation of the Faculty, to voting or non-voting membership therein (Bylaws of Cornell University, Article XII, Section 1). Research-Teaching-Extension (RTE) faculty with university voting rights (hereafter referred to as the RTE* Faculty) are those who have the title research professor (all ranks), clinical professor (all ranks), professor-of-the-practice (all ranks), senior lecturer, senior research associate, senior extension associate, senior scientist, senior scholar, research scientist, principal research scientist, librarian, associate librarian, archivist, and associate archivist. Other RTE faculty include those who have the title research associate, lecturer, extension associate, visiting scientist, visiting critic, visiting scholar, visiting fellow, instructor, or teaching associate as well as any RTE title that is modified by “visiting”, “acting”, or “courtesy”. D. The “Faculty Senate” (sometimes referred to herein as the “Senate”) is the body established pursuant to Article IX of this document. E. The “University Assemblies” is the body established by vote of the Board of Trustees on January 23-24, 1981 and whose original charter is inserted as an appendix to the Board of Trustees minutes of that date. The current charter document is available in the office of the Assemblies. F. The “Dean of the University Faculty” (sometimes referred to herein as the “Dean of the Faculty” or the “Dean”) is the chief administrative officer of the University Faculty, as provided for in Article XII, Section 4 of the Bylaws of Cornell University. G. “Secretary” shall mean the Associate Dean and Secretary of the University Faculty. H. “Speaker” shall mean the presiding officer of the University Faculty and of the Senate. I. “Constituency” shall mean the schools of Hotel Administration, Industrial and Labor Relations, Johnson Graduate School of Management, and Law, and the academic departments within the other colleges in Ithaca or Geneva. J. “This document” shall refer to the organization and procedures set forth herein, or established hereby. Under the Bylaws of Cornell University (Article XII, Sec. 3), the functions of the University Faculty are to consider questions of educational policy which concern more than one college, school or separate academic unit, or are general in nature, and to recommend to the Board of Trustees, with the approval of the appropriate college or school faculty, the establishment, modification, or discontinuance of degrees. The Bethe Committee Report, adopted by the Faculty on September 12, 1969, clarifies the academic responsibilities of the University Faculty as a whole and with respect to the separate faculties of the various units of the University, the Administration, and the student body. It is not the function of the present document to change in any way the functions or responsibilities of the University Faculty, but to provide for its organization and procedures. 1. Its present power to determine its own membership, subject to Article XII, Sec. 1 of the Bylaws of Cornell University (summarized in Article I-C hereof). 2. Its present power to elect Faculty Trustees for seating by the Board of Trustees pursuant to Article II, Sec. 2a, (4) (c) of the Bylaws of Cornell University. Faculty Trustees must be tenured members of the University Faculty and are elected by members of the University and RTE Faculties who have university voting rights. 3. The power to participate in the selection of the Dean of the Faculty, in the manner set forth in Article V.
4. The power to select its officers, other than the President and the Dean, in the manner set forth in Articles VI and VII. 5. The power to postpone or nullify any action of the Senate, as set forth in Article XII. 6. The power to require or request reports from its officers and committees, from the Senate, and from others in the University community or elsewhere, as may be authorized or appropriate. 7. The power to express its views concerning any matter within its responsibilities or reasonably related thereto, either at a meeting of the Faculty or in such other manner as may be appropriate. 8. The power to amend this document in accordance with the procedures set forth in Article XIV. (e) Upon all of the Dean, to consider a proposal to postpone or nullify an action of the Senate in accordance with the procedures set forth in Article XII. (f) Upon call of the Dean, to act in an emergency. At a meeting of the Faculty, any matter may be brought forward which is properly the concern of the Faculty, but priority shall be given to the matters specified in the call of the meeting. (a) Except as provided in the next item, a quorum for meetings of the Faculty shall be ten percent of the voting members of the Faculty. (b) If a meeting is called to consider postponing or nullifying an action of the Senate under Article XII, or if it is proposed to take such action at any regular meeting, a quorum shall be twenty percent of the voting members of the University Faculty. (c) In the absence of a quorum, those present may receive reports, may discuss matters without voting on them, and may set the date and time for an adjourned meeting, but shall transact no other business. Except as otherwise provided herein, or in special rules adopted by the Faculty, the rules set forth in the then current edition of Robert’s Rules of Order, to the extent applicable, shall govern the debates, votes, and other actions at all meetings of the Faculty. Nonvoting members of the Faculty may attend and participate in debates, but may not vote. Visitors may be admitted to meetings of the Faculty. A decision to open or close meetings to visitors will be made by majority vote of the University Faculty Committee when it establishes the agenda for each meeting, either to admit accredited members of the press or other public media, without discrimination, or a limited number of other visitors, or both, for all or a portion of a meeting. The decision of the University Faculty Committee concerning a particular meeting may be appealed by a motion properly made and seconded at the meeting in question. A majority vote of the voting members present constituting the quorum shall be sufficient to amend, modify, or reverse the decision of the University Faculty Committee concerning the status of visitors at the meeting. If visitors are admitted, they shall sit in the gallery, or otherwise apart from the main body of the meeting, and shall not be permitted to participate in the debates but, if it is so authorized by the decision admitting them to the meeting, they may be permitted by the presiding officer to address the meeting. The official record of each University Faculty meeting shall be kept by the Secretary who may use whatever means he or she finds appropriate to prepare an accurate record of the proceedings. All other participants (members, visitors, etc.) are prohibited from photographing, sound recording, video taping, or using any other electronic means to record the proceedings. The office of Dean of the University Faculty is one of outstanding importance for the proper conduct of University affairs, and in the formulation of policy and the maintenance of flexible communication and mutual understanding between the Faculty and the rest of the University community. Accordingly, special qualifications are required for the office, including an acknowledged position of leadership on the Faculty and wide experience in University affairs. The Dean is the Faculty’s chief administrative officer and its liaison on all matters in which the concerns of the Faculty relate to the President, the Trustees, or other segments of the University community. The Dean, however, is not a member of the University administration. While the Dean is primarily the representative of and spokesman for the University Faculty, the Dean retains the right to express his or her own personal views, when described as such. 1. He or she shall represent and advocate the interests, concerns, and needs of the Faculty to the President, the Trustees, and other segments of the University community, and to the public. 2. The Dean, in consultation with the University Faculty Committee, shall advise the President and other senior members of the central administration on matters of University policy and shall seek the President’s advice on matters of concern to the Faculty. 3. The Dean shall assist the Faculty and the Senate in formulating judgements on questions of concerns to the Faculty. 4. He or she shall be available for consultation and advice to members of the Faculty, to students, and to other members of the University community on matters within the jurisdiction of the Faculty. 5. The Dean shall use his or her good offices in helping to resolve problems which may arise for individual members of the Faculty in their relationships with other members of the Faculty, with academic or administrative officers of the University, with committees of the Faculty or University, with students, or with other segments of the University community. 6. The Dean shall oversee and expedite the work of all committees of the University Faculty or the Senate and shall keep them informed of problems to which they should attend. He or she shall obtain annual or other periodic reports from such committees and shall be responsible for seeing that the reports, recommendations, and decisions of such committees are brought to the attention of all persons concerned therewith. Where necessary and appropriate, the Dean will arrange for the timely publication of information meriting the attention of the Faculty, and of information concerning the Faculty meriting the attention of other segments of the University community or of the public. 7. The Dean shall be an ex officio member of each committee of the University Faculty and each committee of the Senate. 8. The Dean shall be responsible for the calling of meetings of the University Faculty and the Senate and for the preparation and distribution of the agenda for such meetings. 9. The Dean shall be responsible for maintaining a file of (i) records of actions of the University Faculty and of the Senate, (ii) reports of committees of the University Faculty and of the Senate, and (iii) such other files and records as may be necessary or appropriate. 10. The Dean shall prepare such reports as he or she or the University Faculty or the Senate, shall deem appropriate. 11. The Dean shall be available to sit with the Board of Trustees and its Executive Committee in discussions of questions of educational policy. 12. He or she shall perform such other functions as are provided for herein, or as the University Faculty or the Senate shall determine. As may be necessary to assist or represent the Dean, he or she may delegate any portion of the foregoing functions and duties to the Associate Dean and Secretary of the Faculty, to members of his/her staff, or to other members of the Faculty. In the absence or inability to act of the Dean, the Associate Dean and Secretary of the Faculty shall function as Acting Dean. In the absence or inability to act of both the Dean and the Secretary, the University Faculty Committee, in consultation with the President, shall designate an Acting Dean. 1. The Dean must be selected from among those members of the University Faculty who have university voting rights and must maintain that status. 2. At least three months before the deanship becomes vacant, or as promptly as possible if the office should become vacant without three months’ notice, the Nominations and Elections Committee shall solicit nominations and canvass Faculty opinion, and shall prepare a slate of three or more candidates. The Nominations and Elections Committee should consult the President in this regard. 3. The Committee on Nominations and Elections shall conduct a mail ballot of the members of the University and RTE Faculties who have university voting rights, using the Hare System, and shall promptly report the results to the President and the Faculty. 4. Subject to confirmation by the Board of Trustees, the candidate receiving a majority of the votes cast shall be appointed Dean. The term of office for the Dean shall be three years. The Dean may be reappointed by the Senate for a further period of not more than two years. So far as possible, the terms of office of the Dean and the Secretary shall be staggered so that not more than one of these officers shall be elected in any one year. 5. Supervising publications made in the name of the University Faculty subject to guidelines mutually agreed upon with the Senate. The Associate Dean and Secretary of the University Faculty shall be selected from among the tenured members of the University Faculty. The Committee on Nominations and Elections shall conduct a mail ballot of the members of the University and RTE Faculties who have university voting rights. The Hare System is to be used with results promptly reported to the President and all members of the electorate. The Associate Dean and Secretary shall serve for a term of three years, with the possibility of reappointment by the Senate, for a further period of not more than three years. The Associate Dean and Secretary shall also serve as secretary and as an ex officio voting member of the Senate. 3. The President shall be a voting member and presiding officer of the University Faculty. The Speaker of the Senate or his or her alternate (see Art. XI-A-2) shall serve as Speaker of the University Faculty. By designation of the President the Speaker may, and normally will, moderate meetings of the University Faculty. The Speaker may select one or more Parliamentarians to advise him or her on questions of parliamentary law and procedure arising in the course of faculty meetings. There shall be such other officers of the Faculty, with such functions and duties, as may be provided for from time to time by the University Faculty. There shall be a standing University Faculty Committee. The University Faculty Committee shall provide liaison between the Faculty Senate and the President, Provost, and other senior University administrators. Whenever either the Provost or the President wishes to consult with the University Faculty on major policy issues, she or he will look to the University Faculty Committee to provide that consultation. Additionally, the University Faculty Committee will act as an executive committee for the Senate and the University Faculty, and perform any other duties assigned to it either by the Senate, the University Faculty, or elsewhere in this document. The University Faculty Committee has the responsibility to inform and consult the Senate on a regular and frequent basis. 2. Committee on Nominations and Elections. (b) The Committee on Nominations and Elections shall nominate candidates for election by the University Faculty for Faculty Trustees, for Dean of the Faculty, for Associate Dean and Secretary of the Faculty, for members at large of the Senate, and for elected committees and offices of the Faculty and of the Senate. The Committee shall propose to the Senate members and chairs of appointed Faculty and Senate committees and members of administration and faculty-administration committees when the administration makes such requests to the Senate. When proposing members and chairs of committees, the Nominations and Elections Committee shall give preference to members of the Senate where appropriate. In preparing slates of candidates for the University Faculty Committee and the Nominations and Elections Committee, the committee will be mindful of the importance of spanning all parts of the campus, the ethnic and gender diversity of the faculty, and the major scholarly disciplines of Biological Sciences, Creative Arts, Humanities, Physical Sciences, Professional Schools, and Social Sciences. (c) The Committee on Nominations and Elections shall prescribe procedures for, and shall supervise, all elections by the University Faculty, all elections by or to the Senate, and all elections to elected committees and elective offices of the University Faculty and the Senate; shall decide disputed questions concerning such elections; and shall perform such other functions as are assigned to it in this document or by the University Faculty or the Senate. In connection with elections to the Senate, the Committee on Nominations and Elections shall prescribe or approve guidelines and procedures to govern the nomination of candidates and the conduct of elections. There shall be such other elected or appointed standing committees of the University Faculty as may be created by the Faculty and ad hoc committees as may be created by the Faculty or the University Faculty Committee. 1. The University Faculty Committee shall consist of the Dean and the Secretary, ex officio, and nine members of the University Faculty. Five members of the UFC shall be current Senate members at the time of their election; four need not be current members of the Senate at the time of their election. Members elected from the Senate shall serve a complete term on the University Faculty Committee even if their Senate term expires prior to the end of their University Faculty Committee term. No person shall serve more than two complete consecutive terms on the University Faculty Committee. The Dean shall serve as chair of the committee. All members of the University and RTE Faculties with university voting rights are eligible to vote in elections that determine membership of the University Faculty Committee. 2. The Nominations and Elections Committee shall consist of the Dean and the Secretary, ex officio, and nine members of the University Faculty. Six members will be elected at large by the Faculty. The Nominations and Elections Committee will nominate and the Senate will appoint three members in order to achieve a balance among the schools/colleges and disciplines, as well as the diversity of the Faculty. The Secretary shall serve as chair of the committee. All members of the University and RTE Faculties with university voting rights are eligible to vote in elections that determine membership of the Nominations and Elections Committee. 3. With the exception of the Dean and the Secretary, no person may serve on the University Faculty Committee and the Nominations and Elections Committee at the same time. 4. Any member of the University Faculty, whether or not a voting member, shall be eligible to serve as a voting member of a University Faculty committee. 5. With the concurrence of the Senate, the Nominations and Elections Committee may designate one or more seats on specific committees other than the University Faculty Committee and the Nominations and Elections Committee for non-faculty members. 6. Ex officio members of committees shall not be counted in determining the number that constitutes a quorum nor are they to be counted when establishing the existence of that quorum. 1. Except as otherwise provided in the legislation or resolution creating a committee, the term of each elected member of a standing committee shall be three years, provided that, so far as feasible, the Committee on Nominations and Elections shall arrange staggered terms for the initial election to each such committee so as to provide continuity. 2. Except as otherwise provided in the legislation or resolution creating the same, or except as reappointed by the University Faculty or the University Faculty Committee, each ad hoc committee shall automatically expire at the end of the academic year. There is hereby established a Faculty Senate (sometimes referred to herein as the “Senate”) consisting of not less than 75 voting members. Any member of the UF* or RTE* Faculty shall be eligible for membership in the Faculty Senate. e. One emeritus faculty member selected by the Cornell Academics and Professors Emeriti and one RTE* faculty member from Cornell University Libraries. f. Nine at-large members with three seats for the tenured members of the UF*, three seats for unternured member of the UF*, and three seats for members of the RTE* Faculty. g. Constituency members and College RTE members as described in Sections D, E, and F below. h. The Student Assembly, the Graduate and Professional Student Assembly, the Employee Assembly, the Postdoctoral Association, and ROTC shall each have one non-voting ex officio seat. 2. Within the limits specified in Section A above, and subject to the approval of the University Faculty, the Senate may designate its own future size. 1. All membership seats on the Senate (other than memberships at large and ex officio memberships) shall be apportioned among the various constituencies as defined in Article I., Section I. at Ithaca and Geneva (hereafter called “constituencies”). Each constituency will have at least one seat on the Senate, except that constituencies with fewer than five voting faculty members may combine with another constituency (with the agreement of both constituencies) to establish a joint seat. Constituencies in which the total number of tenured, tenure track, and RTE* faculty is greater than 25 will have a second Senate seat. In addition, constituencies may elect an alternate senator to serve if the regularly elected senator is unable to do so. The alternate has voting rights and will count towards the quorum only when the regular senator is absent. Each college shall have at least one College RTE seat in the Senate. Colleges that have more than 25 RTE* faculty will have a second College RTE seat. In this context the colleges are (1) Agriculture and Life Science, (2) Architecture, Art, and Planning, (3) Arts and Sciences, (4) S.C. Johnson College of Business, (5) Computing and Information Science, (6) Engineering, (7) Human Ecology, (8) Industrial and Labor Relations, (9) Law, and (10) Veterinary Medicine. 2. There shall be a reapportionment of seats at least every three years. 3. All decisions on apportionment shall be made, and all questions and disputes concerning the same shall be resolved, by the Committee on Nominations and Elections. 1. Members at large shall be elected by members of the UF* and RTE* faculty by mail ballot, in accordance with procedures established by the Committee on Nominations and Elections, from among candidates nominated by the Committee on Nominations and Elections. Individual colleges are responsible for the election of at-large RTE senators. Any member of the college RTE* faculty is free to place their name on the slate. The electorate must include all tenured, tenure track, and RTE* faculty in the college. 2. Other elected members shall be elected by each constituency to fill the number of seats assigned to that constituency. Elections shall be by secret ballot. All members of the UF* and RTE* faculty shall be eligible to vote in a constituency election. The voting faculty members of a constituency may allow other members of that constituency to take part in the Senate election. Each constituency must have at least one senator who is a member of the UF*. A constituency with two seats can elect to the Senate a member of the RTE* faculty. 3. General elections to the Senate shall be held in the spring and shall be conducted in accordance with procedures established or approved by the Committee on Nominations and Elections. (See Article VIII, Section A-2-c ). 4. Special elections shall be held to fill vacancies, or for other sufficient reason as determined by the Committee on Nominations and Elections. 5. Any question or dispute concerning general or special elections, eligibility to vote, assignment to a constituency, or other election procedures, shall be resolved by the Committee on Nominations and Elections. 1. Elected members shall serve for a three-year term. A term of office shall begin on July 1. 2. Terms of membership shall be staggered, in the manner determined by the Committee on Nominations and Elections, so that approximately one-third of the total membership of the Senate (exclusive of the ex officio members) shall be elected each year. 1. Any vacancy of a constituency-elected seat, arising from death, resignation, incapacity, or other reason, shall be filled by a special election within the constituency, except that if the vacancy is for an unexpired term of ninety days or less, it shall be optional with the constituency concerned to leave the vacancy unfilled for the balance of such term. In the event of a vacancy of an at-large seat, the Committee on Nominations shall appoint a temporary replacement for the remainder of the unexpired term. 2. If a member is granted leave for one or two semesters an alternate shall be appointed by the officer of the appropriate constituency as defined in Article I., Section I. to take the absent member’s seat for the period of the leave. If a member is granted leave for more than one year, his or her seat shall be declared vacant, beginning with the commencement of the leave. 3. If any member (other than a member on leave) fails to attend any meeting of the Senate for a period of 120 days or more (exclusive of summer vacation) that member’s seat may be declared vacant, either by the constituency concerned, or by the Senate as a whole. The Senate may, in its discretion, provide for recall procedures, which shall authorize a constituency to remove a member for reasons specified in such procedures and to declare the seat vacant, provided that any such removal must be initiated upon the petition of at least 10 percent of the voting members of the constituency and must, to take effect, have the approval of at least 50 percent of such membership. At least every three years the University Faculty Committee with broad consultation will assess the quality of Faculty representation as realized through the various allocation formulae. Concerns would be discussed in the Faculty Senate. Proposed modifications would be brought before the University Faculty in accordance with the procedures specified in this document. The Dean of Faculty Office will maintain on its website a table that reports the current academic titleholder populations for every college and department together with the total number of UF* and RTE* Senators. Except for the powers reserved to the University Faculty under Article IV-A, and subject to the power of the University Faculty to postpone or nullify any action of the Senate pursuant to Article XII, all the powers and functions of the University Faculty are hereby delegated to the Senate. 1. To select its officers. 2. To approve or reject the nominees presented by the Nominations and Elections Committee for election by the University Faculty. 3. To approve or reject the list of members and chairs presented by the Nominations and Elections Committee for appointed University Faculty committees, Senate committees, and administration or administration-faculty committees. 4. To adopt, amend, or repeal bylaws or other procedures relating to the conduct of its business and the duties and functions of its officers and committees. In exercising the powers of the Senate it is anticipated that its members will take all reasonable measures to ascertain faculty opinion by means of regular consultations with their constituency and other appropriate means, and that the Senate will keep the University Faculty fully informed of the reasons for its decisions. 1. Regular Meetings. An organization meeting of the Senate shall be called by the Dean promptly after the election of its members. Thereafter, regular meetings of the Senate shall be held once a month during the academic year. 2. Special Meetings. Special meetings of the Senate shall be called by the Dean. a. On the request of the President, the Board of Trustees, or the Executive Committee of the Board of Trustees. e. On the Dean’s own motion, whenever it appears to the Dean that such a meeting is necessary or appropriate. a. Regular Meetings. At a regular meeting of the Senate, any matter may be brought forward which is properly the concern of the Senate, but priority shall be given to the matters specified in the call of the meeting. b. Special Meetings. At a special meeting of the Senate only those matters shall be considered which are specified in the call of the meeting, except as this rule may be waived by unanimous consent of the members present. c. The Dean shall make the necessary arrangement to distribute the agenda of regular and special meetings of the Senate to the members of the University Faculty in advance of such meetings. Except as otherwise provided herein, or in the bylaws or other procedures adopted pursuant to Section B above, the quorum for the transaction of business of the Senate shall be one-half of its non–ex officio members; vacant senate seats are not counted. In the absence of a quorum, the Senate may receive reports, may discuss matters without voting on them, and may set the date for an adjourned meeting, but shall transact no other business. At the discretion of the Dean of Faculty, a Senate roll call vote can be initiated at any time during a meeting with ballots submitted physically and/or electronically over a period of one week. For the legislation or action to take effect, the number of votes cast must be at or above the level of quorum. The rules contained in the then current edition of Robert’s Rules of Order shall govern the deliberations and actions of the Senate in all cases in which they are applicable, to the extent they are not inconsistent with the provisions hereof. University and RTE Faculties who are not members of the Senate shall be entitled and encouraged to attend any meeting of the Senate and to participate in debate, but not to make motions or vote. The official record of each Senate meeting shall be kept by the Secretary who may use whatever means he or she finds appropriate to prepare an accurate record of the proceedings. All other participants (members, visitors, etc.) are prohibited from photographing, sound recording, video taping, or using any other electronic means to record the proceedings. 1. The President of the University, who will serve as ex officio President of the Senate. 2. The Speaker, who will serve as an impartial moderator of Senate meetings. The Speaker shall be selected by the Senate, which may also select an alternate Speaker to serve in the absence of the Speaker. 3. One or more Parliamentarians to be appointed by the Speaker at his or her discretion. 4. Such other officers as may be provided for from time to time by the Senate, to be selected in such manner as it may determine. 1. A University Faculty Committee, which shall be the same committee, with the members, functions, and duties, as provided above in Article VIII-A-1. In addition to the duties there provided, the University Faculty Committee shall act for the Senate in emergencies, shall act for the Senate in considering nominations of the Nominations and Elections Committee for administration or administration-faculty committees when required by the need for timely action, shall assist the Dean in preparing the agenda for regular and special meetings of the Senate, and shall perform such other functions as may be prescribed by the Senate. 2. A Committee on Nominations and Elections which shall be the same committee, with the same members, functions, and duties, as provided above in Article VIII-A-2. 3. Such other standing and ad hoc committees and subcommittees, elective or appointive, as may be established by the Senate. The University Faculty Committee may also establish ad hoc committees and subcommittees. 4. Except in the case of the University Faculty Committee, any member of the University Faculty, whether or not a voting member, and whether or not a member of the Senate, shall be eligible to serve on any committee or subcommittee provided for in paragraph 3 above, or in section XIII.B. below. 5. The terms of office of members of the aforesaid committees shall be as prescribed by the Senate. In the case of standing committees the terms of office shall normally be staggered to permit a reasonable degree of continuity. In the case of ad hoc committees the duration of such committees shall be as prescribed by the Senate, subject to extension if necessary. Any standing or ad hoc committee which fails to meet, and does not otherwise act or file a report, for a period of one academic year, shall be automatically discontinued. As stated above in Article X, Sec. A, the Senate is hereby delegated all the powers and functions of the University Faculty not reserved to the Faculty under Article IV, Sec. A, subject to the power of the Faculty, reserved in Article IV, Sec. A-5, to postpone or nullify any action of the Senate. 1. A postponement shall be for a specified period not to exceed ninety days. 2. A nullification may be in whole or in part with respect to any particular action of the Senate. 3. By two-thirds of the members of the University Faculty Committee. The University Faculty Committee shall review any such proposal made under Section C-l or C-2 above. Prior to the meeting of the Faculty at which such proposal is submitted, said Committee shall make its views thereon known by communication to the University Faculty, in the call of the meeting or otherwise, and shall, whatever its views may be, assist the Secretary and the proposers in presenting the proposal to the meeting. the Senate shall stand, subject to Section F below. 1. Any such referendum shall require a petition in writing from the President, the Trustees, or voting members of the Faculty equal to or greater in number than the authorized membership of the Senate, filed within twenty days of the last action, or failure to act, on the matter on which the referendum is sought. 2. The Dean shall, in cooperation with the University Faculty Committee, distribute suitable information concerning the issue to the Faculty. 3. Only voting members of the Faculty shall be eligible to vote in such referendum. 4. The mailing, balloting, and counting procedures shall be prescribed and supervised by the Committee on Nominations and Elections, which shall decide any disputed questions in connection therewith. 5. Provided at least 25 percent of the voting members of the Faculty cast valid ballots in such referendum, the majority of the votes cast, whether such majority is in favor of the original action or in favor of its nullification, shall decide the issue. If the vote is less than 25 percent, the referendum shall be without effect. Once a proposal to postpone or nullify an action of the Senate has been initiated, and has been finally approved or defeated by the University Faculty under the above procedures, or final action has been taken on a matter within the reserved powers of the University Faculty, the matter (or substantially the same matter as determined by the University Faculty Committee) shall not be brought up again before the University Faculty or the Senate until at least one year has passed from the date of such final approval, defeat, or other action. The central administration, and in particular, the Provost and the President, will look to the University Faculty Committee for advice and consultation on all major policy issues that are of interest to the faculty. To facilitate that advisory and consultative relationship, the Provost and/or the President will meet on a regular basis with the University Faculty Committee. If members of the central administration constitute a committee to make or advise on policy issues, or carry out searches, and decide to appoint faculty members to that committee who are not members of the central administration, college deans or associate deans, or division directors or associate directors, the expectation is that they will ask the Senate to nominate some faculty members to serve on the committee. The central administration will be expected to select about one-half of the faculty membership on each such committee from names presented by the Senate. The Senate will present as many names as are requested, but in no case more than twice the number to be selected. 3. By written petition of members of the University Faculty who are not members of the Senate equal in number to, or greater than, the quorum of the authorized membership of the Senate. Any such proposal to amend shall be reviewed by the Senate which shall make its recommendation thereon. If it does receive majority approval, it shall then be submitted to a referendum in accordance with Item C below. If the proposal to amend has been approved by a majority vote at a meeting of the Faculty Senate under Section B above, it shall then be submitted promptly to all voting members of the University Faculty for a referendum by e-mail ballot. If approved by a majority of the valid ballots cast, the proposal shall be deemed adopted and this document amended accordingly. Such referendum shall be supervised by the Committee on Nominations and Elections, which shall decide all questions and disputes arising in connection therewith. The Committee may call upon the Dean and the University Faculty Committee, if necessary, for assistance in conducting such election. If a proposal to amend this document is defeated, the same proposal (or substantially the same proposal, as determined by the University Faculty Committee) may not be initiated until at least one year has passed from the date of such defeat. referendum October 16, 1995. Senate Approval, November 14, 2007; amended by the University Faculty, February 27, 2008; referendum April 30, 2008.